We all know the workplace of the future will be very different from the workplace of today. It’s more than just technology and automation – it’s about the environment you create for attracting the smart, talented, savvy people with the skills we need for future-proofing our organisations. The bad news is that those “stars” are in demand, and can choose where they work. Are YOU providing the sort of workplace that will attract and keep them? In our social, mobile, and highly-connected world, the best people to solve your problems could turn up in the most unexpected places. Don’t just turn to the people you already know. There’s a whole world that’s willing to help. Reach out to them, and you tap into endless talent, skills, and expertise. Own vs Share: The old model was to own as many resources as possible (in fact, these are the things that appear on your balance sheet as “assets”). In the new model, you share things rather than owning them, because that keeps you nimble and flexible. 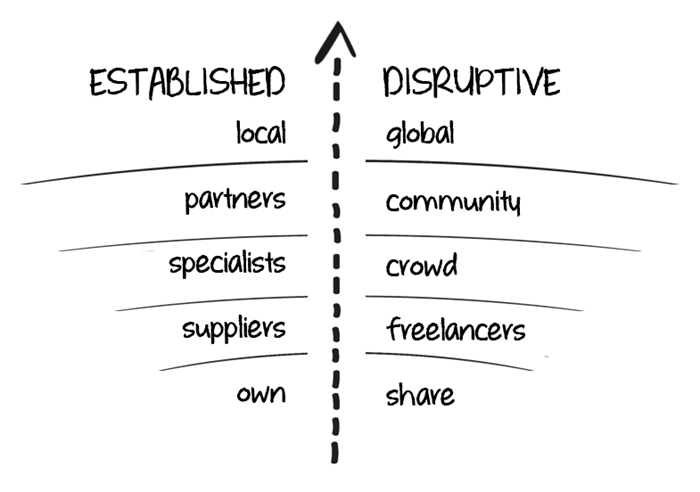 Suppliers vs Freelancers: Instead of dealing only with a few “preferred” suppliers, disruptive organisations often use freelancers (also known as the gig economy or sharing economy) for specific skills in narrow areas of expertise. Specialists vs Crowd: Established organisations value specialists who have earned their stripes in traditional ways (such as education and reputation). Disruptive organisations know they can find the right expertise everywhere, and reach out far and wide for it. Partners vs Community: When creating even stronger relationships, established organisations find partners they can work closely with. 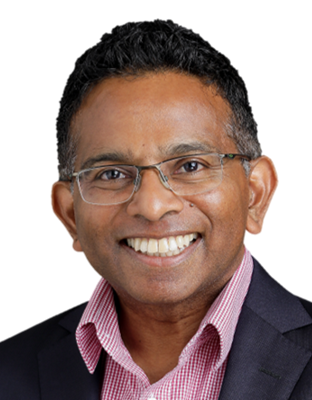 Disruptive organisations do value partnerships, but are also willing to sacrifice the closeness of the relationship to get the diversity of a wider community. Local vs Global: When established businesses want to create new relationships, their go-to approach is to reach out to their inner circles. Disruptive organisations recognise that the best new relationships might be at the edges of their existing networks. When my niece Abbey was ten, when she outgrew her Lego Friends toys, she sold them on Gumtree. She kept half the proceeds and donated the other half to a charity of her choice. She set an attractive price, and usually sold a kit within an hour of advertising it. At the tender age of ten, Abbey was already learning about online trading, marketing, social responsibility, and a new model of ownership. My 19-year-old stepdaughter, also named Abbey, is in her second year of studying Physiotherapy at university. Even though she is still a teenager, she has already had six part-time jobs: coaching gymnastics, babysitting, serving at a supermarket checkout, managing events, working in hospitality at a sports stadium, and being a sports trainer for a football team. Both of my Abbeys are still years away from entering the full-time workforce, but you already have other Abbeys in your organisation, and others assessing whether they want to join it. They are smart, talented, innovative people who want to make a difference in the world. We’re already seeing significant changes in the nature of work, and the workplace of the future will be very different from the workplace now. It will be more common to change jobs more regularly, switch careers every few years, work shorter hours, and work multiple part-time jobs. If you’re leading a team or organisation in this new world of work, you will face different responsibilities and challenges than you do now. The biggest change is the shift to individual power and influence. We used to say “There’s no ‘I’ in ‘Team’”, but that’s no longer true. There is an ‘I’ in ‘Team’ now, because your team members have more influence, power, and access than ever before – and will bring them to work to assist you and your organisation. If you let them. This is radically different from workplaces a generation ago, where, according to Gallup, employees favoured things like superannuation, flexible holidays, and good benefits. 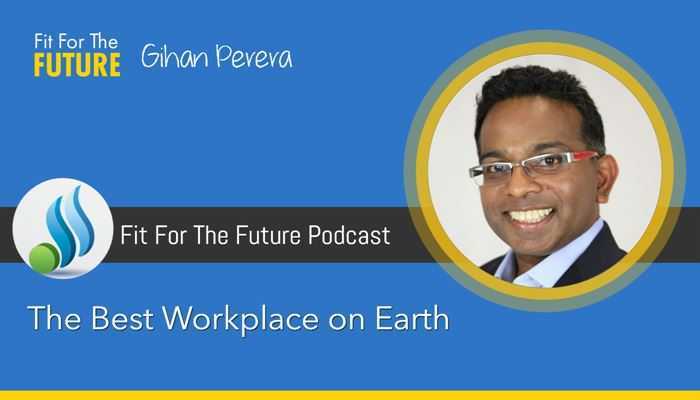 In this podcast episode, you’ll discover more about these six key principles for creating the best workplace on earth. If you would like my help, please get in touch. 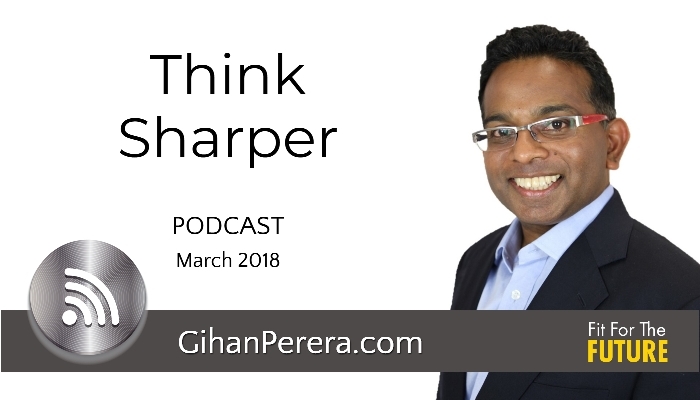 In my Think Sharper masterclass and executive mentoring, we examine these six factors for creating the best workplace on earth, so you can attract, reward, and (most importantly) keep the best talent. Futurists aren’t fortune-tellers! They simply look broader, deeper, and further than most people, and help you find new opportunities to apply what they find. 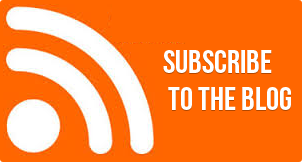 As writer William Gibson said, the future is already here – it just isn’t evenly distributed. 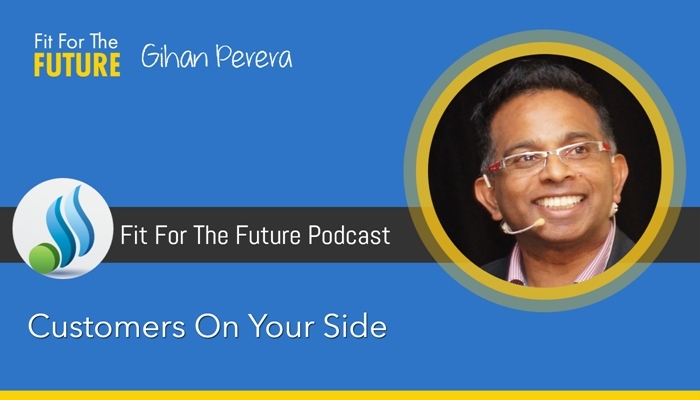 In this podcast episode, I’ll teach you nine practical skills you can use yourself to think like a futurist, so you can make better decisions – and faster. Why do so many change and innovation programs fail? Even with management buy-in, a willing culture, and good ideas, too many innovation programs just don’t get traction anymore. In this fast-changing world, there’s one element missing from many of these programs, and it can doom them to failure. Bitcoin is currently valued at $17,057, but it’s volatile and filled with hype. What IS it, and should you invest $15,662 of your hard-earned cash in buying it? Even if you don’t have a spare $16,902 sitting around, take the time to understand the basics of Bitcoin and blockchain technology and know what it means for you and your business. You’ve done everything right, played by the rules, and built a solid business, but the world has changed and everything you valued is shaken to the core. So how do you continue to be successful in a fast-changing world? In a nutshell: Disrupt yourself. 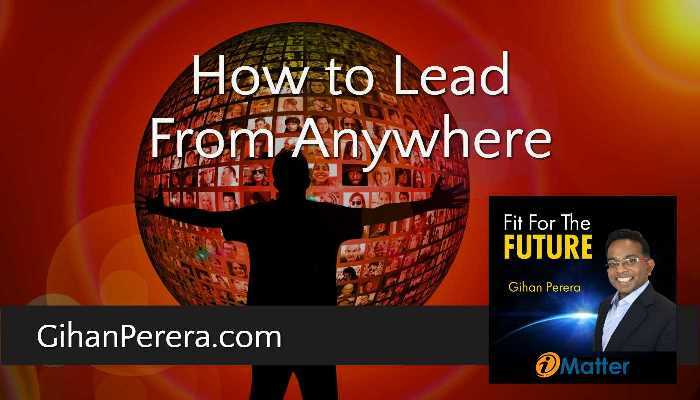 The traditional workplace – an office with everybody working the same hours, at the same time, in the same place, and focussed on the same goals – is changing fast, but many leaders don’t know how to apply their leadership skills to these new environments. Leaders who understand the needs of their distributed teams members will increase productivity, retain the best talent, and achieve their personal and professional goals. Members of distributed teams value and expect opportunities for professional development just as much as in-office team members. As a leader or manager, be proactive and innovative to find ways to help accelerate the experience curve for your distributed team members.